Maha Maya Spaces Pvt. Ltd. Call now for Best Deals. 0% brokerage - call now for best deals. 4 MEGA REASONS TO ACT NOW! Gain the first mover advantage - pre-launch of a new project with 4 new towers at best ever price. Buying early into master planned neighborhoods has given unprecedented & market- beating returns. After all, stars always get the best deal. Live at the top - higher the floor you choose, bigger the discount you get. Next-gen homes with advanced automation for higher security and energy efficiency. Great investment opportunity at India's#1investment hotspot as per CII-JLL. Projected appreciation of up to 60%by 2020 as per Knight Frank. WELCOME TO THE GRAND 40-ACRE ESTATE. Prime address at a prime location - live minutes away from Viviana Mall, Jupiter Hospital, Singhania School, upcoming TCS campus and lakhs of high quality jobs. World-class neighbourhood, designed on the principles of new urbanism with 25 acres of open space, multitude of amenities. Breathe in the purity - the finest air quality in the Mumbai suburbs, comparable to London and New York with 100's of trees on site. Where is Lodha Amara located? The project is located in Kolshet Road, Mumbai Thane. What size of flats are available in Lodha Amara? The apartment sizes in the project vary from 366.0 sqft to 1890.0 sqft. What is size of 2 bhk in Lodha Amara? The area of 2 BHK apartments ranges from 551.0 sqft to 1440.0 sqft. 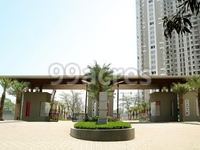 What is the area of 3 bhk in Lodha Amara? Three-room units (3BHK) in the project are available in an area of 906.0 sqft to 1890.0 sqft. What is the area of 4 bhk in Lodha Amara? The size of 4BHK units in the project is 1069.0 sqft. Anyone can guide me whether investing in Lodha Amara will help me to make a good profit in future? My sole aim is an investment only. Experts please opine. @Anurag, you need to be cautious about the bad construction quality as residents have complained against the water leakage, bad quality plaster, and usage of gypsum sheets that cause vibrations when the door is closed with normal force. In case, you plan to put the property on rent, Lodha Amara can give you a rental yield of about 19,000 for a 2 BHK apartment. Hello Anurag, Lodha Amara has 32 towers out of which 16 towers are ready, and 16 towers are still in the construction phase. The project is expected to be completed by 2023. Investing here would be a wise decision as this project is located along with Kolshet Road which is a developing corridor. Sound infrastructure and presence of healthcare facilities, educational institutes and entertainment options are the growth factors of Kolshet Road. Also, since launch, Lodha Amara has witnessed 41 per cent appreciation, and it is still going north. If you are planning to invest here, I would suggest you to keep your investment time-frame at least 4-5 years to reap healthy ROI. Still, before taking the final decision, kindly consult a property expert. Planned to book an apartment in Lodha Amara but I dont have much idea about the builders reputation in the market. Also, is this project registered with RERA? Hello Hemchand, Lodha Amara is the development of Lodha Group who holds a sound reputation in the real estate market. This builder has delivered several projects till date in Mumbai, Thane, Pune and Hyderabad. With the experience of more than three decades, Lodha Group has developed projects in residential as well as commercial segment. Also, visiting any completed project where occupants have already moved in would help you to know about the developers reputation better. About Lodha Amara, this project has 32 towers out of which 16 towers are ready and 16 towers are still in construction phase. It has 1 BHK to 5BHK apartments. The online reviews are not good for this project, I will advise you to speak to a few residents before going for an official visit to know the ground realities.  For more details about the builder, you can visit its official website [https://www.lodhagroup.com/]. Also, this project is registered under RERA and you can check its registration number on MahaRERA website.